Towards the end of the dry season many families across the African savannas have exhausted their reserves of stored cereal crops. Vegetables are hard to come by in local markets. Bush meat is one way for rural people to supplement their meagre diet with protein during the well-named lean or hunger season. 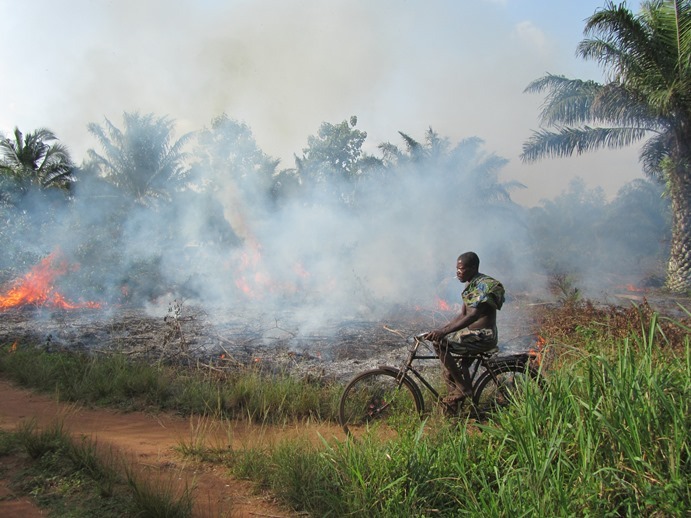 This is why development organisations have struggled for decades to curb the destructive practice of setting the bush on fire to hunt small wildlife. One option to ensure some food and income during the lean season is to grow cashew and mango trees. But with increased labour costs and insecure markets, it is difficult for farmers to properly maintain their planted trees. Slashing the weedy and bushy undergrowth is often only done late during the flowering and fruiting season, by which time bush fires set by others may have spread into and destroyed entire plantations in no time. Increasingly, development organisations are starting to realise that integrated farming systems and local value addition to food are the way forward. 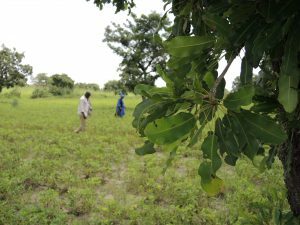 In a recently published video on the Access Agriculture video platform, the Beninese NGO DEDRAS neatly shows how growing groundnuts and soya beans in cashew plantations helps farmers produce a nutritious crop during the lean season, and thus discourage damaging bush fires. DEDRAS also made a training video with rural women on how to make cheese from soya, a good example of adding value. In addition to tree crops, such as mango and cashew, farmer also manage other local species, such as nére (Parkia biglobosa) and the karité or shea nut tree (Vitellaria paradoxa). These wild indigenous trees, distincive features of the savanna, also provide fruits and nuts during the lean season. Neré and the shea nut tree have grown here for thousands of years and are relatively fire-resistant. Traditionally, néré seeds are dried, cooked and fermented to make “soumbala”, a local equivalent to bouillon cubes that brings taste to many dishes. But with an increased need for fuel wood, more néré are being cut down. 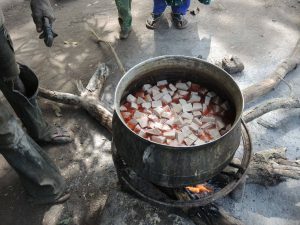 While the fuel wood crisis has not received the attention it deserves, nutritionists have taken notice and have come up with a way to use fermented soya beans as a replacement for the local soumbala. This practice has been captured by the NGO AMEDD in Mali in a nice farmer training video, also hosted on the Access Agriculture video platform. 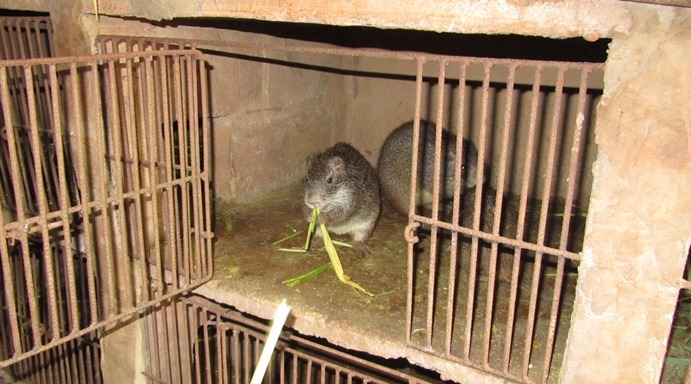 In an earlier blog, Jeff wrote about his experience with grasscutters in West Africa. Declining populations in the wild, along with the strong and continuing demand for meat, have inspired rural entrepreneurs to develop alternative sources. Across Africa one can witness how mainly women and youth have set up grasscutter, poultry, rabbit and other small livestock businesses. 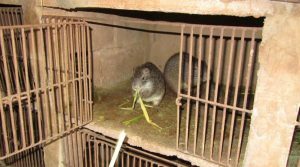 The many training videos on small livestock, intercropping with legumes, and rural food processing offer viable alternatives to the hunting for bush meat. These enterprises may eventually prove more effective in reducing bush fires than lecturing rural people about their adverse environmental impacts. Positive solutions are always better at promoting behaviour change.